I am confused as heck. When looking at a few individual pages, I am seeing weird results I hope someone can help explain. I am doing manual standard reports, and not creating or using a widget. For each of the two tests below, the metrics I am using are visits (not visitors) and unique visitors. I am using Page as my primary dimension and Page Title as secondary. I am filtering to include certain Pages. Example 1 - Looking at a single page... I see 731 unique visitors and 169 visits. How is this possible? Does google just flip them around for some reason? Example 2 - Looking at several pages combined... If you examine the timeline below , you can see that the numbers are all over the place. How is it possible to have more unique visitors than visits? What am I missing? I would suspect that if things were just flipped around, then I should still see one line that is always below the other line. Anyone clue me in to what may be happening here? I also notice that the visits column (just out of view) adds up to the total, but the unique visitors column clearly doesn't. I found what I believe is the answer in the link below. To detail the answer is quite lengthy, but in summary - for purposes of attribution, google credits a visit at the page level to the first page visited in a single visit. However it credits every page viewed to a unique visitor. So basically what the visit metric stands for in the report you showed is how many visits started their visit on that page. To find out how many actual VISITS went to a particular page use unique pageviews since it counts pageviews only once, for every visit. Confusing...yes. However it appears to be the reason. Visits represent the number of individual sessions initiated by all the visitors to your site. If a user is inactive on your site for 30 minutes or more, any future activity will be attributed to a new session. Users that leave your site and return within 30 minutes will be counted as part of the original session. The initial session by a user during any given date range is considered to be an additional visit and an additional visitor. Any future sessions from the same user during the selected time period are counted as additional visits, but not as additional visitors. The overall point is that you are looking for unique visitors and visits for a specific page. Normally you will not see more visitors than visits on a generic report but if you go to report "how many visits and visitors a single page gained" then you can encounter this "confusing" problem. I know, as Eric stated with the article, that GA counts visits for a page only those that started with that page and not all visits (sessions) that "really" viewed it. Use unique pageview and you are sure to count ALL sessions/visits that embed at least one pageview of that page. Looks like Google has posted Why a custom report shows more Unique Visitors than Visits in their Help pages. If you use either a page level dimension (like Page or Page Title) or the Hour dimension in a custom report, you might see the count of Unique Visitors is greater than Visits. To capture the number of sessions that included a visit to a given page, use the metric Unique Pageviews instead of Visits. They also give a more in depth answer that explains the details. Analytics measures both visits and visitors in your account. Visits represent the number of individual sessions initiated by all the visitors to your site. If a user is inactive on your site for 30 minutes or more, any future activity will be attributed to a new session. Users that leave your site and return within 30 minutes will be counted as part of the original session. Should I measure visits or unique events? 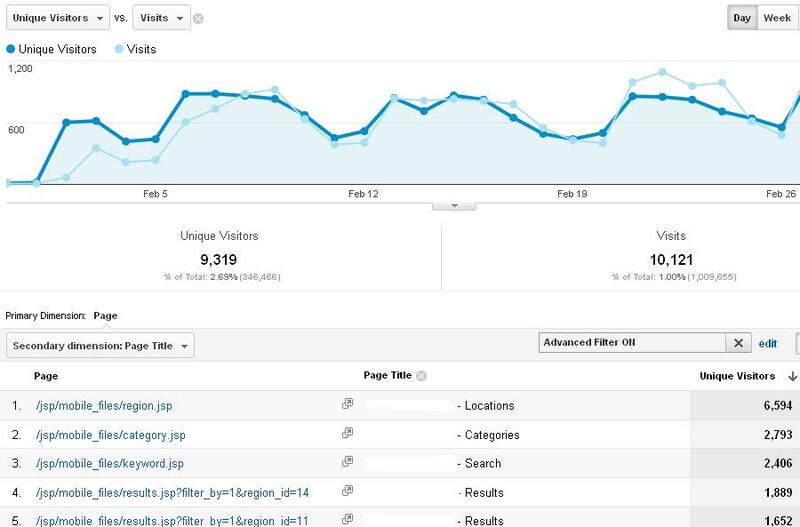 Can I filter Google Analytics reports for visitors who saw a certain page? Why are Awstats, Webalizer, and Google Analytics results so different?